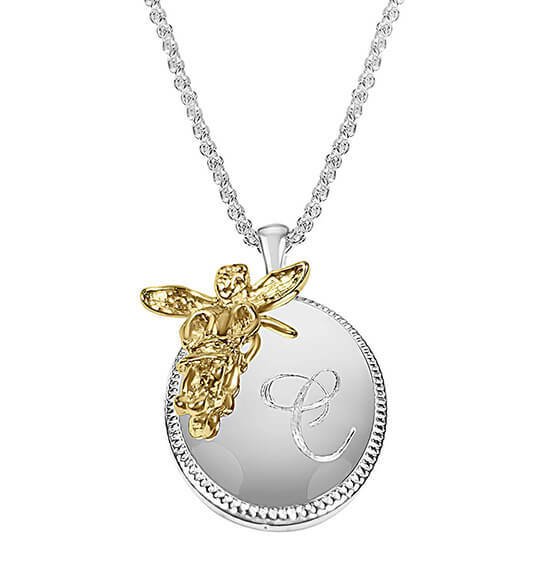 Treat yourself or your favorite angel to this personalized treasure. Sleek Personalized Oval Pendant with Angel Accent features an angel perched on an oval that can be personalized with an elegant script monogram. Makes a great gift! Specify initial. This is something a Great-Grandmother would love to wear!